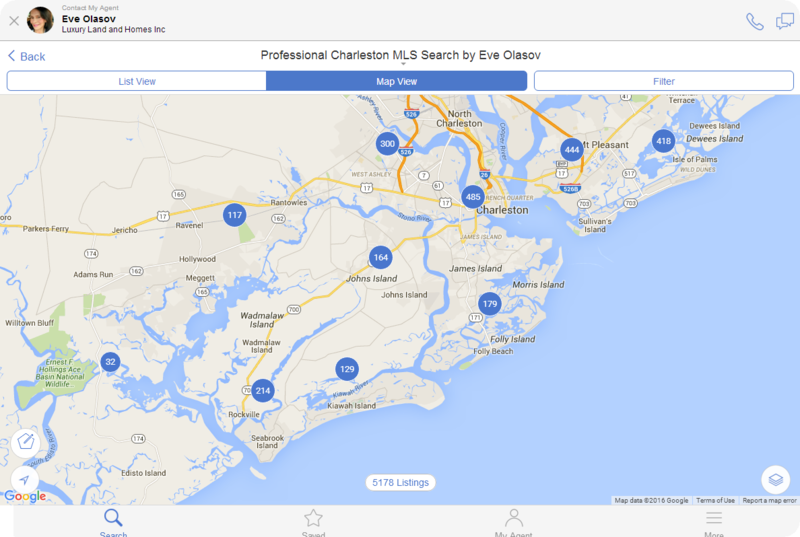 Charleston is a fabulous city with festivals, functions, exhibits and performances on an ongoing basis. The real estate scene is filled with historical buildings, churches and many parks. From the quaint Inns to the miles of beautiful beaches, you can be sure you will find an area that suits your needs. Tap map, zoom in to explore, select individual properties. »» Recommendation: choose full screen and then refine by price!